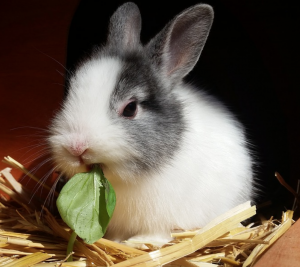 Why Should I Spay or Neuter My Rabbit? · Eliminating risk of ovarian/uterine cancers and other uterine diseases such as pyometra (infection in the uterus) in females. The risk of developing cancers of the uterus increases as the rabbit ages. It is best to spay before the rabbit is 2 years of age to greatly reduce the risk. · Reducing aggressive behaviour Both male and female rabbits (especially females!) can display aggressive behaviours such as biting and lunging. Rabbits that were once easy to handle can become very difficult to pick up once they have reached sexual maturity. · Reducing urine marking behaviours Males and female rabbits can spray urine on vertical surfaces to mark their territory. It is more commonly seen in males than females. The urine from a sexually mature male also has quite a strong odour. If the behaviour is allowed to continue, it may be impossible to completely stop with neutering so it is best to neuter before sexual maturity or just shortly after to curb this behaviour before it becomes a habit. · Prevention of false pregnancies, prevention of mammary gland disease such as mastitis and prevention of testicular disease.